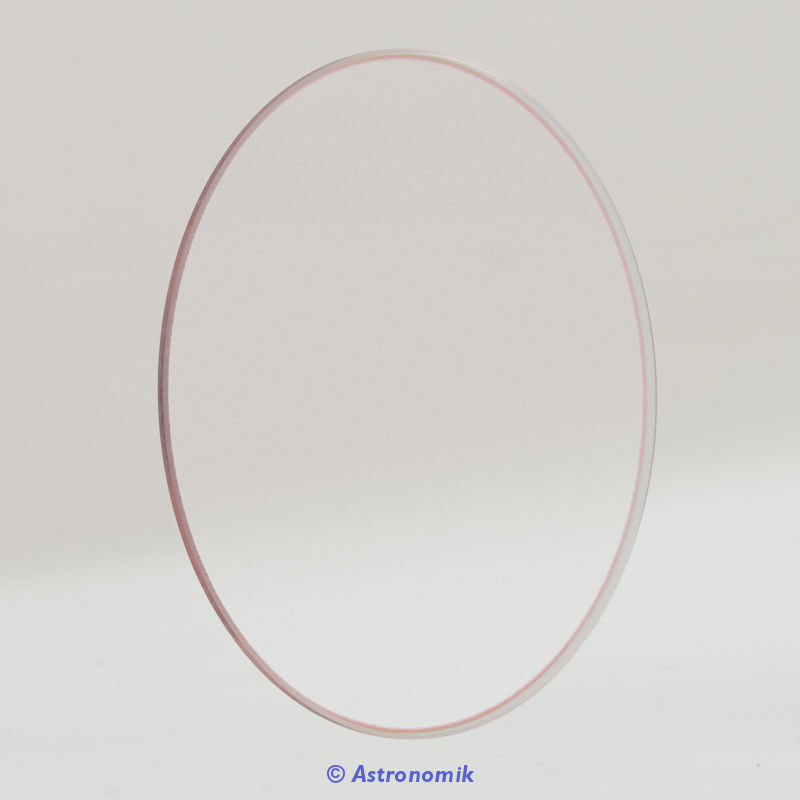 UV and IR cut Filter for digital photography. 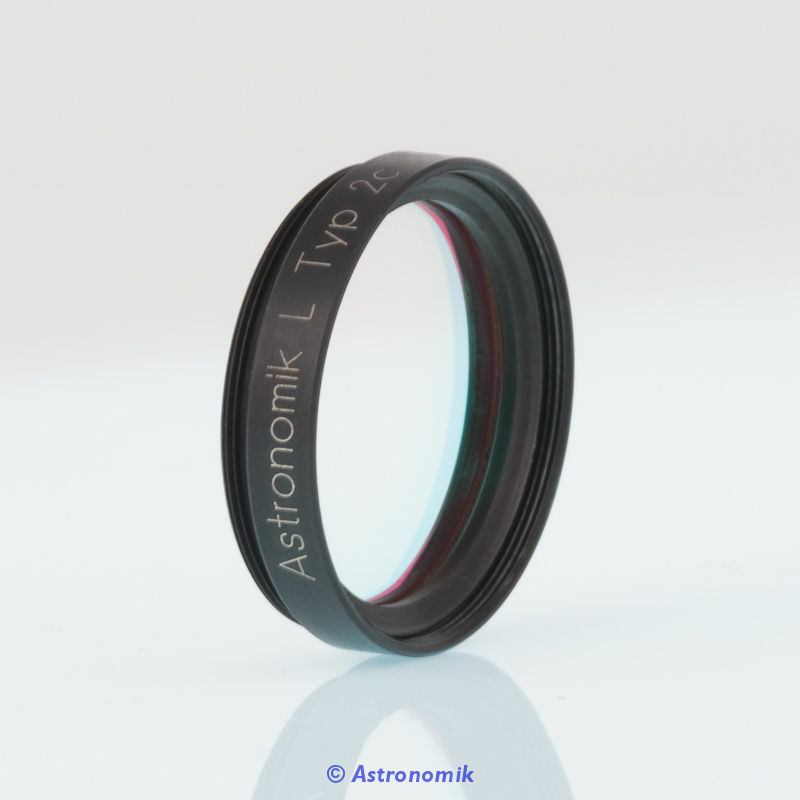 The Astronomik L-Filter are discontinued. This test is for reference only! 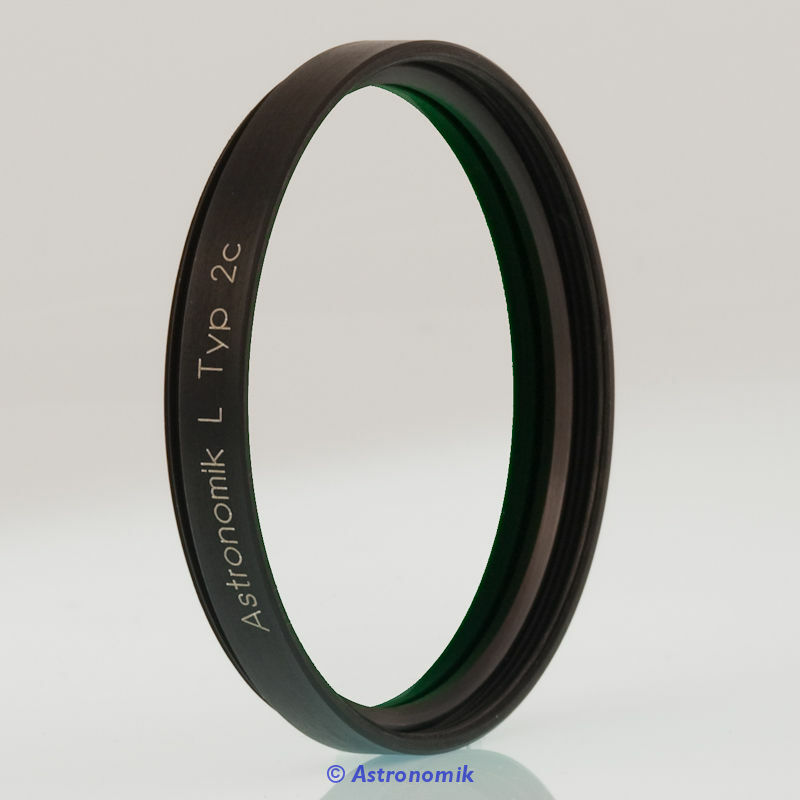 Please see our selection of L-1, L-2 and L-3 UV-IR blocker. 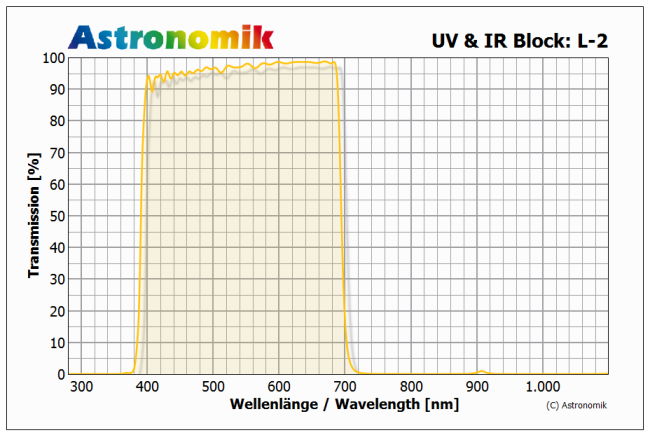 The Astronomik UV-IR Blocker lets the full range of sensitivity of the human eye (according to DIN 5031) pass, and blocks all other parts of the spectrum in the UV and IR. The Astronomik UV-IR Blocker is the ideal choice as a luminance filter for any kind of digital photography. Because of the perfect blocking of UV and IR all optical problems in these parts of the spectrum are avoided. 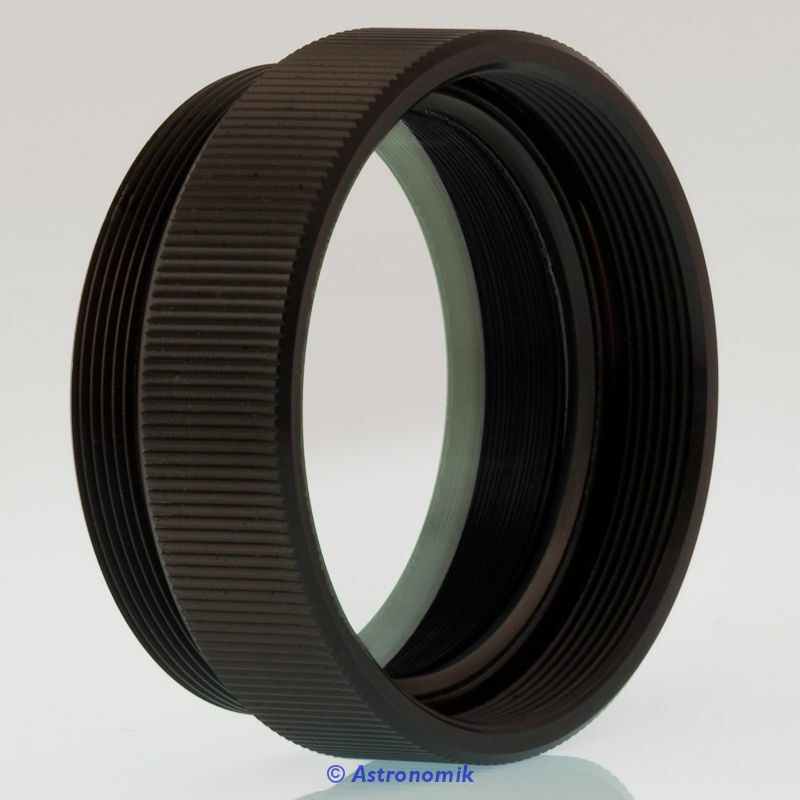 The filter is optimized for systems with focal ratios between f/0.5 and f/50. The typical transmission is higher than 99%. The UV-IR Blocker gives you a perfect parfocal filter for the luminance channel. 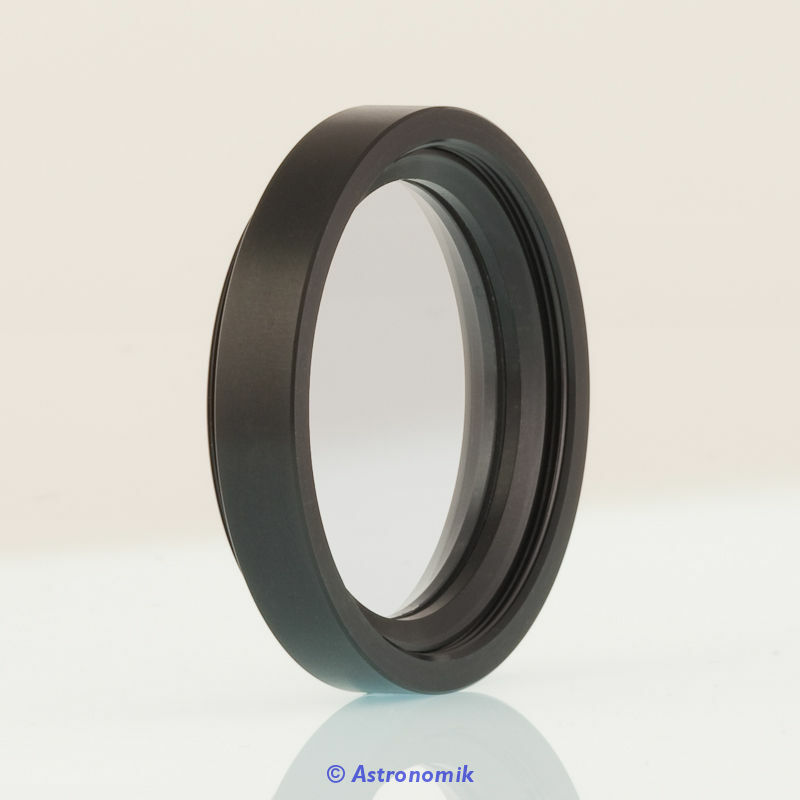 It is also great as a dust protection for your telescope and camera. 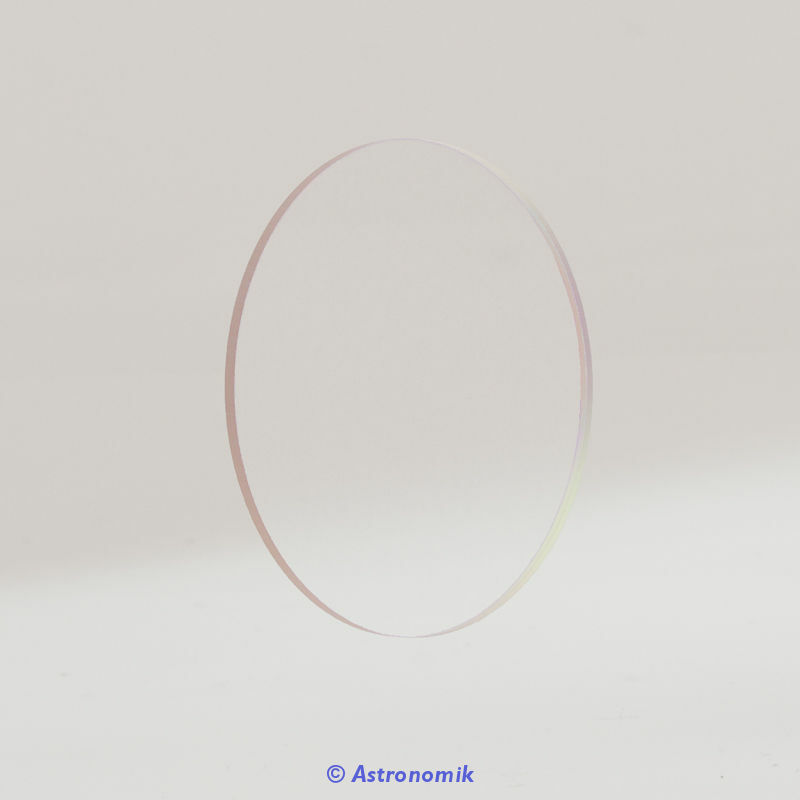 As a dust protection of Schmidt-Cassegrain, Schmidt-Newton or Maksutov system or as a dust protection in front of DSLR camera. 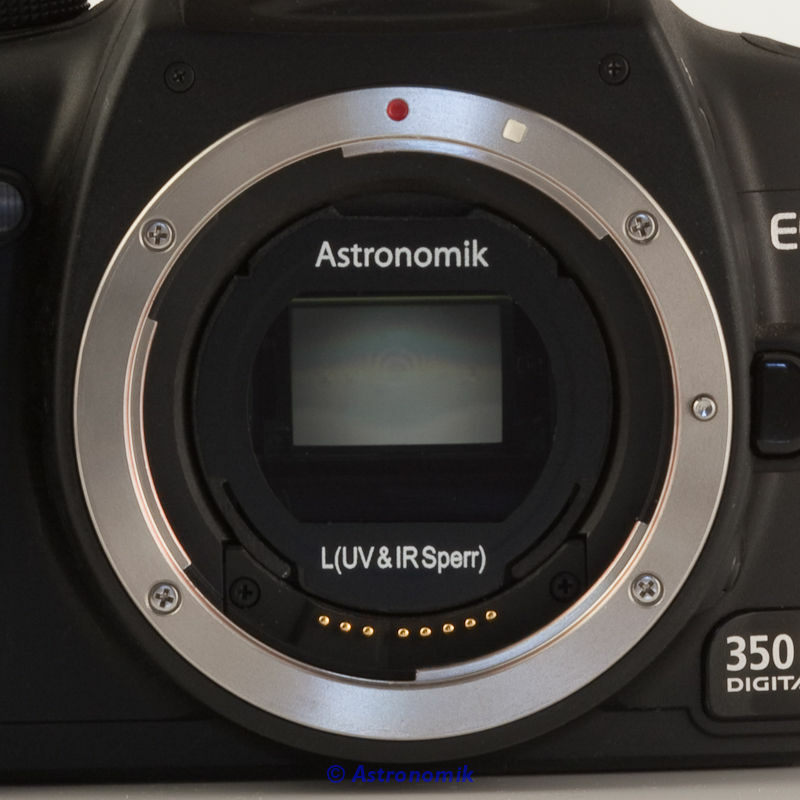 As an alternative instead of the IR-Blocker if your camera has a high sensitivity at short wavelengths. You should think about using the IR-blocker if your camera has a low sensitivity at short wavelengths. 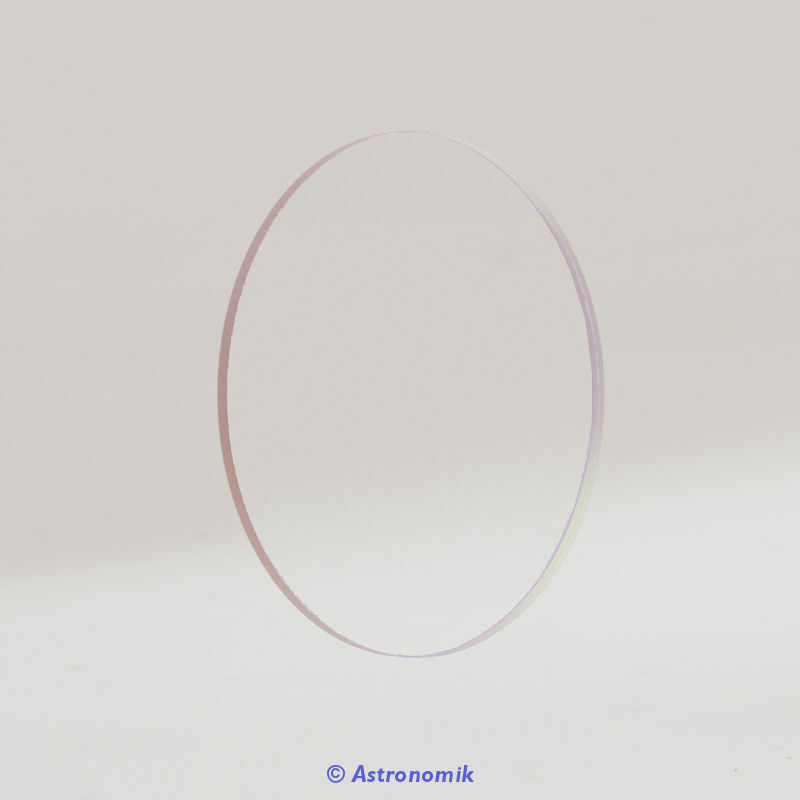 Think about using the MC Clear glass if you have a system without any refracting elements. 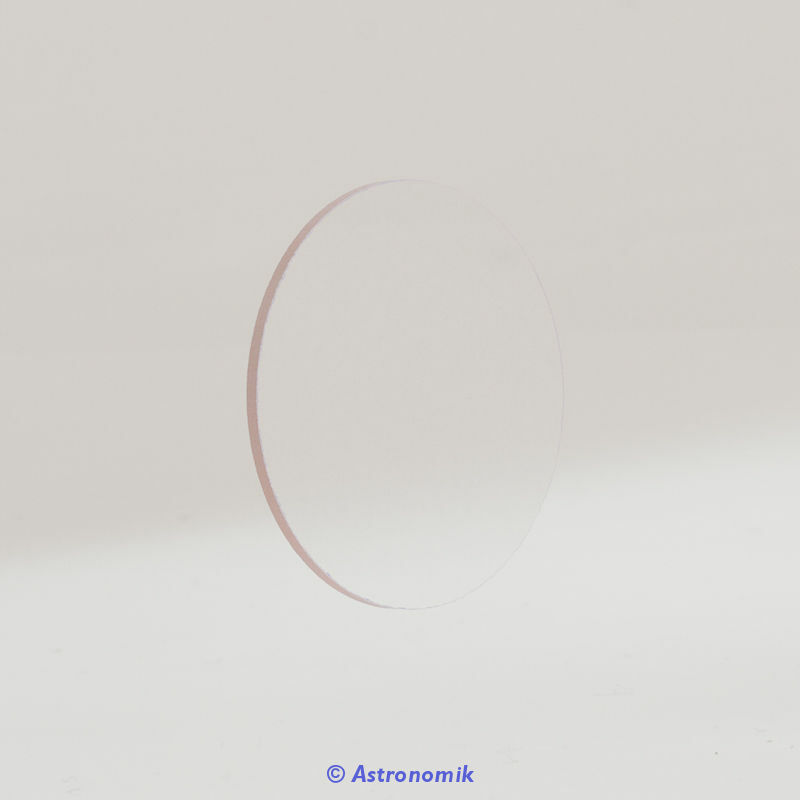 If you do color imaging from light polluted places, please think about using the CLS CCD filter for the luminace data instead!